Readers will have the limited-time opportunity to receive a deluxe sample of Yellow Diamond, the newest Versace perfume which we had announced on these pages a while ago. Visitors simply enter their information into a form available on the Facebook page, and the boxed deluxe sample will arrive within 90 days. The Facebook page visitors will also find the official video campaign for Yellow Diamond, while connecting with other fans. Dedicated to providing Versace fragrance enthusiasts with a highly-interactive forum to discuss and engage with one another, the Yellow Diamond Facebook page puts the brilliance of the scent’s luminosity front and center on your computer screen. 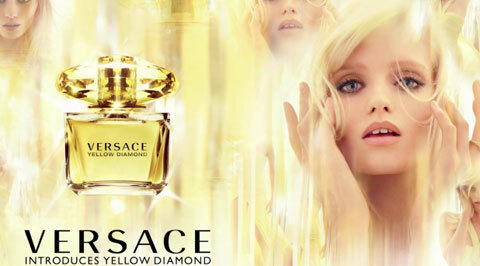 Click on the Yellow Diamond Versace Facebook link and log in for a luxurious and one-of-a-kind experience brought to you by Versace! Yeah same here. What is the name of the actual page? And thanks for posting this! It's supposed to be Yellow-Diamond-Versace, but I just emailed them and they say there's a technical glitch. They will fix it, I suppose, shortly. They've been alerted to it.